Step 3: Complete the online application. You may complete the application using a smartphone, mobile device, laptop, or desktop computer. When completing the application you will need the email addresses of two (2) reputable references. Your references can be family members. Print a copy of your application and confirmation page. Pay for your Initial FID Card and / or Pistol Purchase Permits. Initial FID card fee is $5.00 and Pistol Permit fee is $2.00 each and payable ONLY in the form of check or money order. These fees are non-refundable. Complete and sign the Consent for Mental Health Records form in person. Provide a copy of the application and the confirmation page. Provide your identification and FID card (if applicable). * You will be receiving automated email updates throughout this new process. * Once your application is complete, a Manchester representative will contact you to retrieve your FID card and / or pistol purchase permit documents. * Please advise your references that the FARS system will email them the reference questions to be answered. Your references can complete the questions using a smartphone, mobile device, laptop, or desktop computer. Please advise them to complete the questions immediately to progress your background investigation. * The online application is APPLICANT DRIVEN. Please ensure that you have entered the best phone numbers for yourself and references as well as the best email address for yourself and references. The new online application is APPLICANT DRIVEN. If the applicant makes a mistake while applying, they simply can RE-APPLY. The applicant should understand that all application fees are non-refundable and non-transferable. 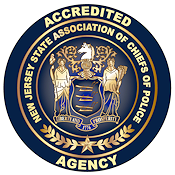 The applicant MUST utilize the correct ORI (NJ0151800) for the Manchester Township Police Department. FARS is taking the place of the STS 033 form. Applicants can apply for all the same options as the paper application form with the exception of Permits to Carry. This system has been mandated by the Governor’s Office to expedite the process and provide accountability for the length of time an application may take to process. The applicant MUST enter their “Official Name”. They cannot utilize simplified versions of their names (Joe vs. Joseph). Applicants must enter accurate phone numbers and emails for themselves and their references. Family members can be references. After the applicant enters all required information, a REVIEW PAGE appears where the applicant can edit all information entered into the application prior to final submission. An INITIAL APPLICANT will be able to PRINT OUT their FINGERPRINT FORM at the end of the application, and are directed to do so. The applicant should also print both the confirmation page and application at the end of the process. This is for quick reference in the event of an issue. No payment is taken from initial applicants by FARS. Only 212A applicants will pay at the end of their online application process. Applicants are instructed to bring payment for initial FID card and any permits to the Manchester Township Police Department. Applicants must still complete and sign the Consent for Mental Health Records Check form in person at the Manchester Township Police Department. Application for a Duplicate Firearms Purchaser Identification Card/STS-033: There is no fee for a Duplicate Firearms Purchaser Identification Card. Firearms Application forms can still be obtained through the Records Section of the Police Division. The Records Section is open from 8:30 am to 4:00 pm, Monday through Friday (except holidays).